During the brief period between the end of the afternoon panel and the start of the evening panel, I rode over to the Plaza-Midwood neighborhood of Charlotte and walked around. Plaza-Midwood is home to several of Charlotte’s oldest restaurants, including The Diamond and The Penguin, and is also home to the Fresh Exclusive Sneaker Boutique and the Social Status hip-hop shop. I had seen some designs I really liked at the Eight and Nine Clothing tent at the Style Village, but they didn’t have my size in them, so the people there advised me to drive nearby to a store called Threadz. In the event, Threadz didn’t have the sizes I needed either, but it proved to be a really cool urban wear boutique that I hadn’t been familiar with at all. Similar to Wish Atlanta, Threadz has a front room that features shirts and pants, and a separate room in the back that seems dedicated to sneakers. Fans of Eight and Nine Clothing will find plenty of designs (at least when supplies haven’t been decimated by special events like A3C). After lunch, I headed over to Edgewood Avenue to check out the two outdoor stages, one between the Joystick and Mothers which was called the Old Fourth Ward Stage, and the other behind Noni’s Deli, which was called the Noni’s Village Stage. But I soon realized that the afternoon would probably be my only opportunity to check out the Style Village in Little Five Points, so I drove over there, parking near the Variety Playhouse. First I stopped by Stadium to pick up a shirt I had admired when I had stopped in there on Wednesday, and then I walked over to the Style Village, which was three rows of tents set up behind the Star Community Bar. Each tent was devoted to a different clothing line, and with the exception of Born Fly and Akoo, most of the lines were fairly new or underground lines. Some of the bigger, more familiar were giving away shirts and caps in exchange for email sign-up, so I ended up leaving the village with a bag of free swag. One of the coolest places in East Atlanta Village is a new retail shop which is the home of Atlanta-based Atlast Clothing, a hip clothing line that at least in part is centered around Atlanta identity. Despite the hometown appeal, Atlast clothing features really attractive designs that should appeal to anyone who loves urban wear, even if they’re not from Atlanta. In addition, the store supports Atlanta’s local hip-hop scene by hosting special events, and was a ticket sales point for this year’s A3C Hip-Hop Festival. Because I didn’t think I’d get to otherwise, I spent the better part of Thursday during the day going around to some of my favorite stores and shops in Atlanta, like Decatur CD, Criminal Records, Wax-N-Facts and Wish ATL, and discovered some new spots, like Stadium (a hip-hop clothing boutique), Beatlab (a record store for DJ’s) and Atlast Clothing (a new hip-hop line and shop). All in all, it was an enjoyable day before I headed down to the Melia for A3C events and activities. Considering the high importance of urban fashion at this year’s A3C, it wasn’t surprising that there was a Dunk Xchange sneaker and fashion buy, sell and trade meet at the Quad on Spring Street. There was a DJ providing the right sonic background, and plenty of fashions and kicks to fit any taste or budget. 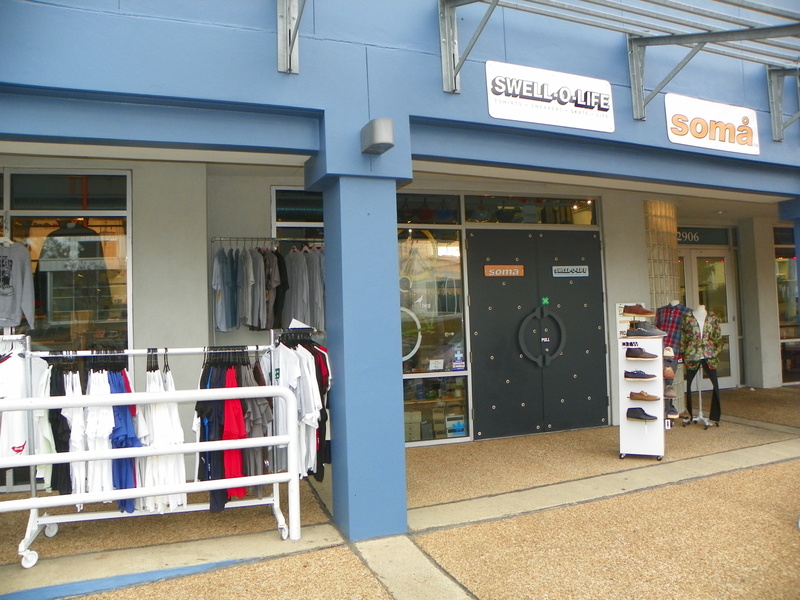 I didn’t expect to run into a hip-hop shop in the CocoWalk, but that’s exactly what Soles Inc turned out to be. 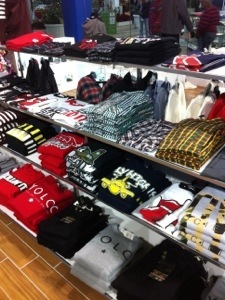 They have an extensive selection of shoes in many brilliant colors, and shirts from Undefeated, Play Clothes, The Hundreds and many other popular brands, including a small variety of their own Soles-branded shirts and caps. There are apparently several of these stores around Miami and Fort Lauderdale, but if you live elsewhere, they sell online at http://solesinc.bigcartel.com/. You can also like them on Facebook at https://www.facebook.com/pages/Soles-Inc/144614622411. 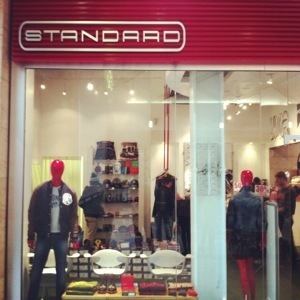 Standard is a small but cool hip-hop shop in the Lenox Square Mall adjacent to the G-Star Raw jeans store. 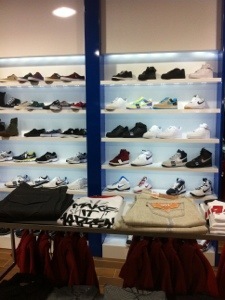 They feature cool lines like The Hundreds, and a small selection of sneakers. 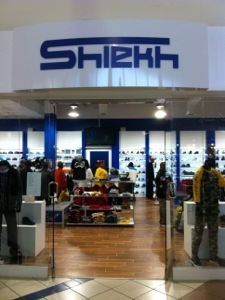 When I entered Southland Mall to do some Christmas shopping, I was greeted by Shiekh, a new upscale hip-hop and sneaker shop in Memphis. 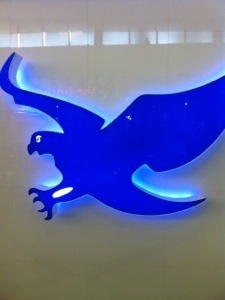 They have the latest clothing lines for men and women and will cheerfully accept your event flyers and mixtapes. If you’re in Memphis, pay them a visit.